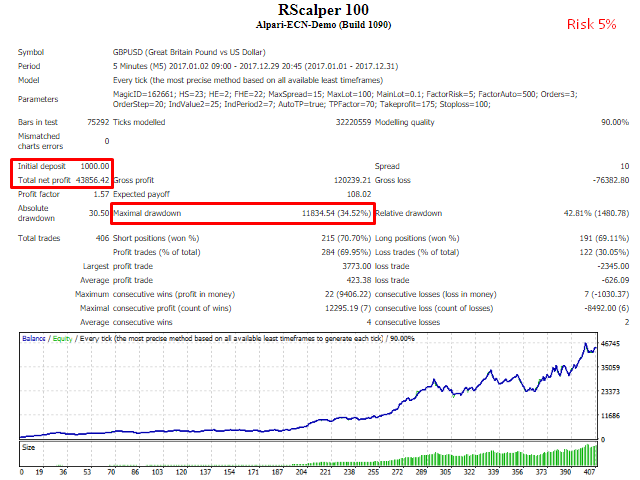 RScalper Expert Advisor defines reversal points based on indicators and opens a specified number of orders in each direction. 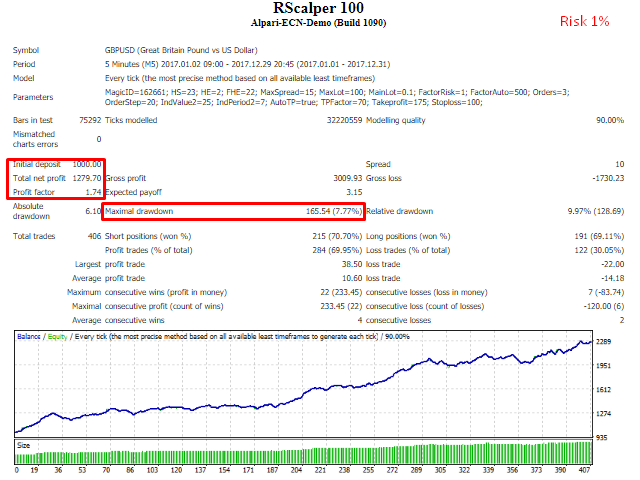 Each order has a specified level of take-profit and is protected by stop loss. A unique feature of the EA is the ability to use a dynamically calculated take profit to close orders. For best results, ECN accounts with tight spreads are recommended. 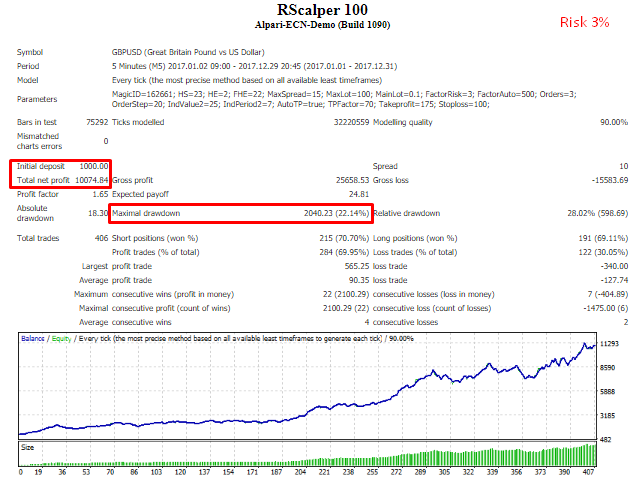 By default, RScalper is configured for use as a night scalper (GMT+3) on M5 timeframe. does not use high-risk strategies, such as martingale, grid, hedging, etc. Suitable for any currency pairs. Protection against spread expansion when opening an order. Money management system with full risk control. MagicId - unique number of the EA. Start Hour, End Hour - time interval for opening orders. Friday End Hour - time to stop opening orders on Friday. MaxSpread - the maximum allowable spread for opening orders. MaxLot - maximum lot size of one order. LotManual - order lot is equal to MainLot. LotRisk - lot is calculated based on the risk level of FactorRisk. LotAuto - lot depends on the account equity and FactorAuto. MainLot - order lot value (for the LotManual mode). Orders - the maximum number of orders for each direction. OrderStep - the minimum distance between orders in the same direction. IndValue - value of indicators. TPFactor - coefficient to calculate the levels for closing orders, %. ColorDn - AutoTP level color for sell orders. за 3 дня на 6 парах 1 сделка на 34 цента. A piece of a robot which is very well done! Very nice scalper! Smart take profit and accurate entrances! With tests you can find much better setups. ColorDn - level color for sell orders.